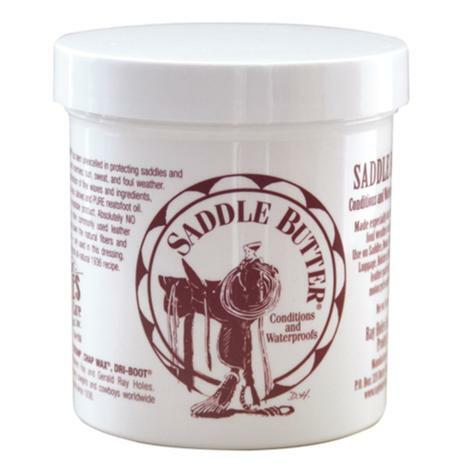 SADDLE BUTTER® is made for leather that are exposed to foul weather and hard service. For use on saddles, boots, chaps and bridles. 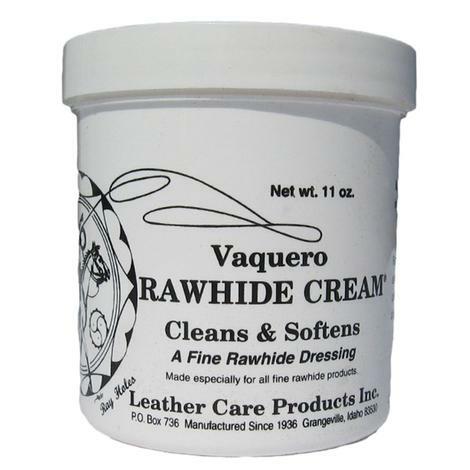 VAQUERO RAWHIDE CREAM® is ideal for: saddle strings, motorcycle leathers, and tooled leather. Is a very reliable rawhide dressing that restores and protects the integrity of rawhide tack. Protects rawhide from water, wear and sun. 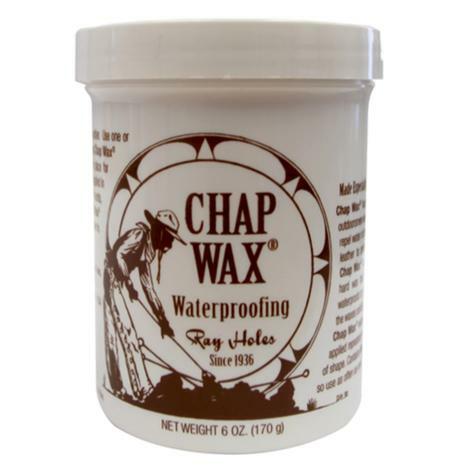 Chap Wax® is an all-natural wax waterproofing for leather. Provides that extra protection needed from rain, snow, and mud. Provides a moisture shield and does not soften leathers. 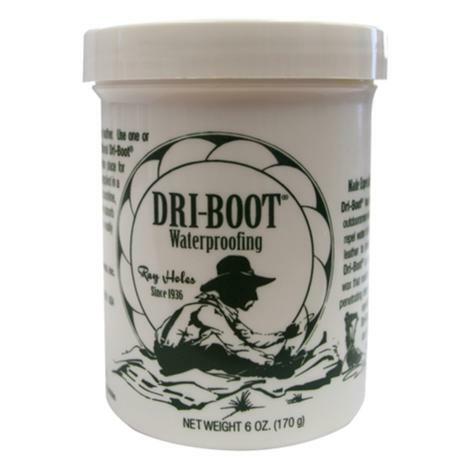 Dri-Boot® is an all-natural wax waterproofing for leather. Provides that extra protection needed from rain, snow, and mud. Provides a moisture shield and does not soften leathers.